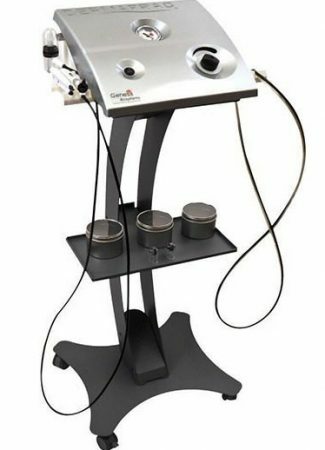 State-of-the-art crystal-free microdermabrasion with proven clinical results, high patient satisfaction and zero maintenance. Derma Peel® utilizes disposable crystal free tips so there’s no need to scrub, soak and sterilize: simply discard and move on to your next patient. 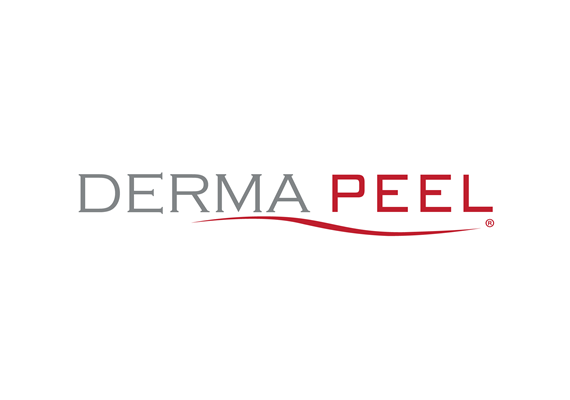 Derma Peel utilizes crystal-free tips that rely on constant vacuum pressure to preform an even and effective peel, rather than requiring the practitioner to apply pressure. Derma Peel utilizes crystal-free tips that rely on constant vacuum pressure to perform an even and effective peel, rather than the requiring the practitioner to apply pressure. This makes Derma Peel a much more comfortable procedure for the practitioner to provide and gives your patient outstanding results. Derma Peel’s one year warranty covers all parts and labor. Should your machine need service, we provide a loaner unit so you stay up and running. We offer thorough, online training and certification so that the entire staff feels confident and comfortable operating the system. Introducing DermFrac, the patent-pending, dermal micro-channeling system that offers simultaneous delivery of infused ingredients in a pain-free, no downtime treatment that can be administered by an Aesthetician. Designed expressly to drive topical solutions to penetrate deeper into the tissue, DermaFrac creates micro-channels to the DE junction while simultaneously infusing topicals to this all-important tissue layer. 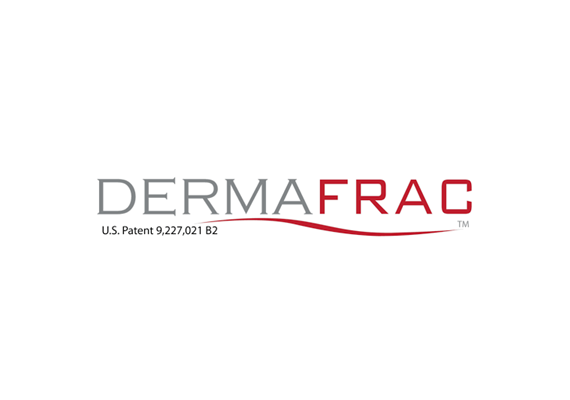 Dermafrac delivers high-grade active ingredients to the dermal layer including anti-aging peptides, skin lighteners, hyaluronic acid moisturizers and acne treatments. DermaFrac offers simultaneous delivery of infused ingredients in a pain-free, no down time treatment that can be administered without anesthesia. Perfecting the science of topical serums for skin rejuvenation. 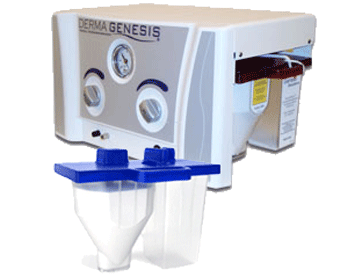 At Genesis Biosystems, we design and build systems that get exciting results for our customers and their clients. The topical solutions we have developed maximize the skin rejuvenation process. Their viscosity and molecular size are specifically designed to deliver greater penetration. 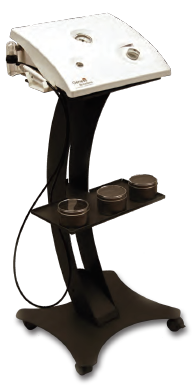 • DermaFrac Solo System Only Roller , not LED or Microdermabrasion compatible. 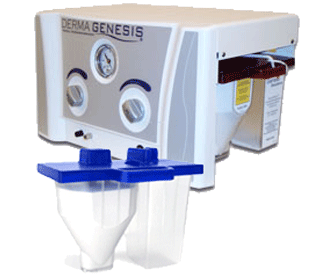 Crystal and Crystal-free microdermabrasion with the most powerful, reliable and longlasting system on the market The Derma Genesis® Dual Mode hand piece allows the user to offer both types of treatments by simply attaching the appropriate aseptic bio-barrier tip cap – the only system that ensures the highest levels of safety for the patient and the operator. Bacteria and viruses are isolated to the disposable tip caps and the hand piece is never exposed to potentially dangerous bio-hazardous fluids or tissue. Perform crystal or crystal-free treatments with the same handpiece, giving you maximum flexibility, treatment options and ease of use.